Authentic Russian kettle distilled vodka. 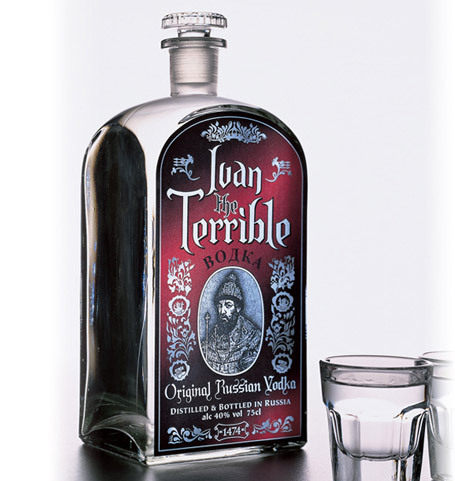 Traditionally distilled Russian vodka required a delicate balance of dark and gothic to match the name 'Ivan the Terrible' and modern values to appeal to the young vodka drinking market. We created a quirky illustrative label with black and silver applied to a traditional Russian bottle with clean lines and a contemporary feel. Supporting material and sharp cool photography also positioned the brand accurately.